It was a bittersweet moment for the DEKALB Ag Alumni Association. The Alumni voted to disband their association but are using their remaining funds for an agricultural scholarship. At the 40th Annual DEKALB Ag Alumni Reunion, members of the association decided it was time for the group to disperse based on dwindling numbers of members connected to the former DEKALB Ag Research Company. 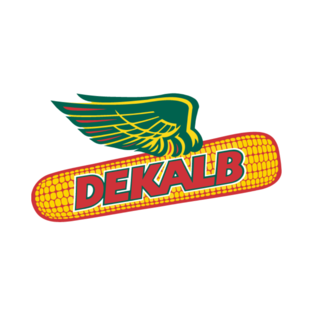 Many of the alumni members were once employed by the seed corn giant headquartered in DeKalb. Following the reunion last fall, the Ag Alumni Board considered several options for the remaining treasury funds. The one that had the most logical appeal was the DeKalb County Farm Bureau Foundation, noted Tom Plote, Alumni Board President. More than a century ago the DeKalb County Soil Improvement Association was formed, which was the predecessor to the DeKalb County Farm Bureau and DEKALB Ag Research. DEKALB Ag Alumni Board members present a check for $6,400 to the DeKalb County Farm Bureau Foundation for the establishment of a new DEKALB Ag Scholarship. (From left) Shown are Dan Rozzen, Alumni Vice President; Delmer Gross, Alumni Director; Mark Tuttle, Farm Bureau Foundation President; Daryl Rolland, Alumni Director; Tom Plote, Alumni President; and Harry Leffler, Alumni Director. “The Ag Alumni Board felt this would be an excellent way to honor the Soil Improvement Association (through Farm Bureau) for their innovation and visionary leadership in agriculture. The scholarship would be a perpetual reminder of DEKALB Ag’s innovations and commitment to agricultural research,” said Plote. 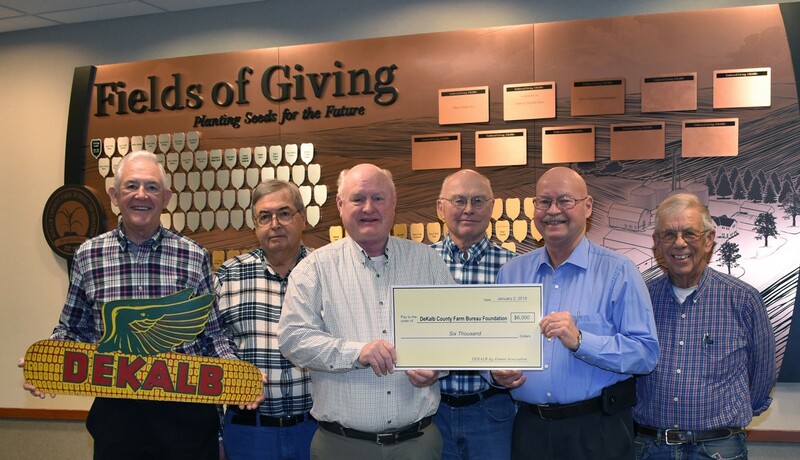 The Alumni Association gifted their remaining funds of $6,400 to the Farm Bureau Foundation earlier this month. 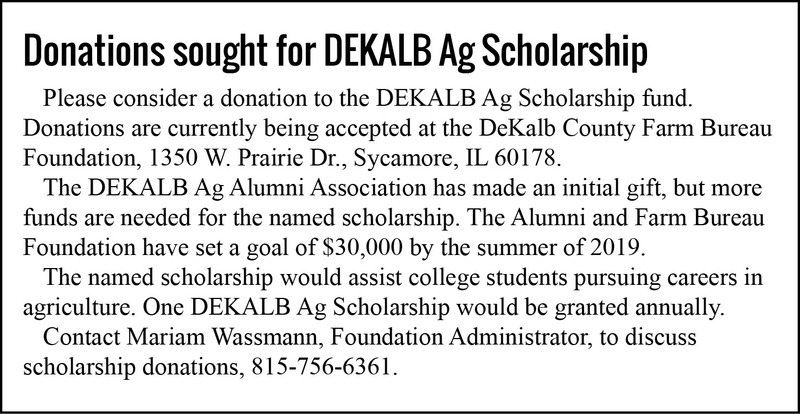 With these funds and additional donations, the Foundation and Alumni are interested in creating a new scholarship that would be named the DEKALB Ag Scholarship. Farm Bureau and the Ag Alumni are asking persons to donate to this college scholarship fund with a goal of reaching $30,000 and aligning with other named endowed scholarships. Ultimately, one DEKALB Ag Scholarship would be granted annually for perpetuity.